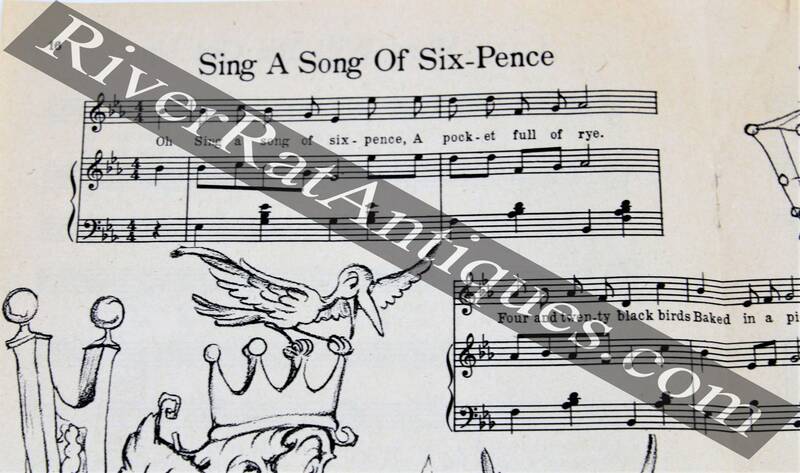 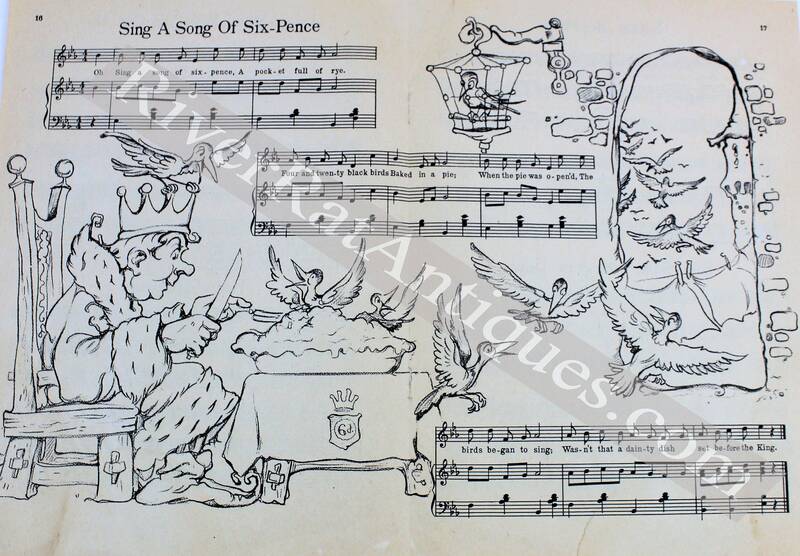 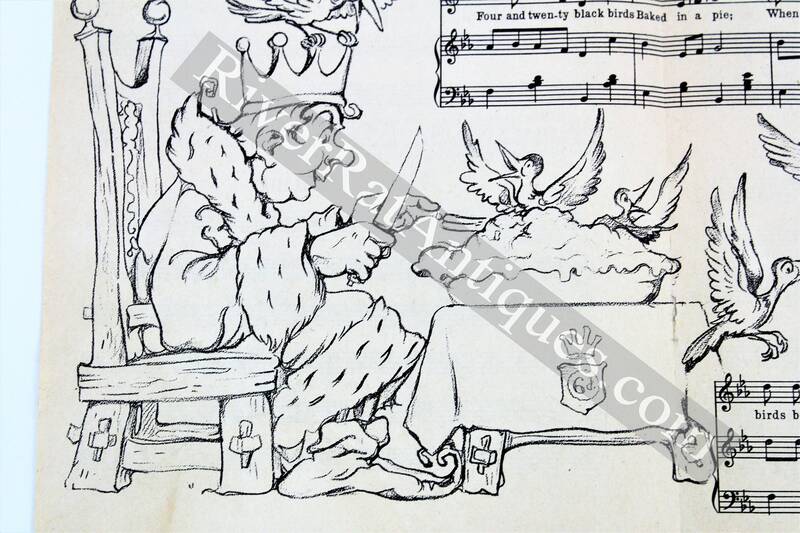 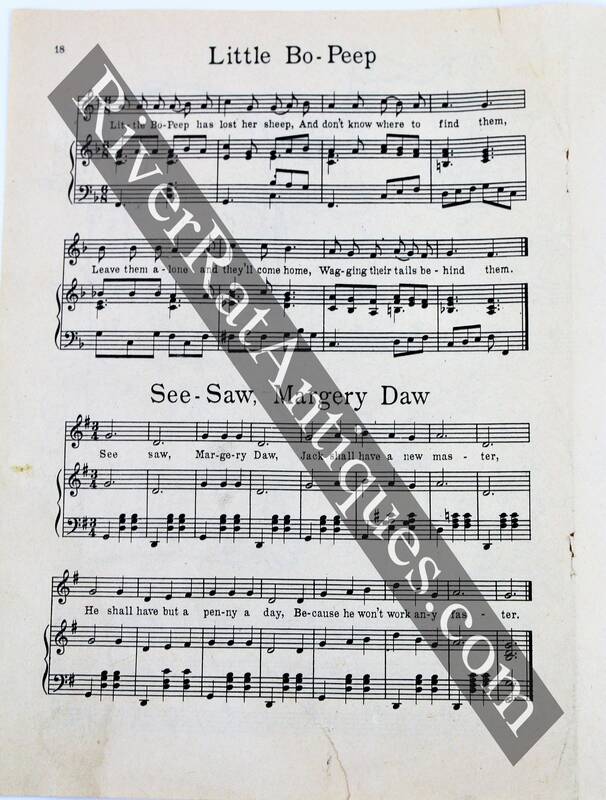 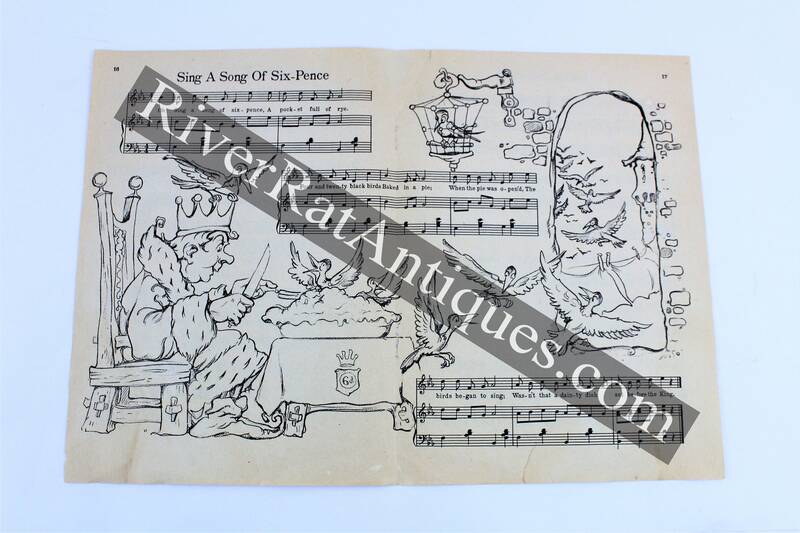 We have for sale a charming vintage page of sheet music featuring 5 children’s rhymes: Sing A Song of Six Pence, Little Bo-Peep, See-Saw, Margery Daw, Lazy Mary Will You Get Up (with a description of how the children play the game) and Baby Bunting. 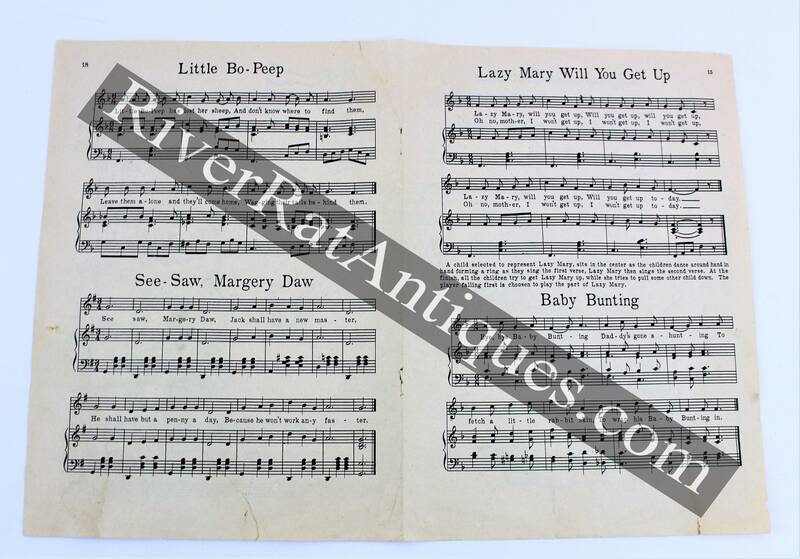 Wonderful and unique baby gift. 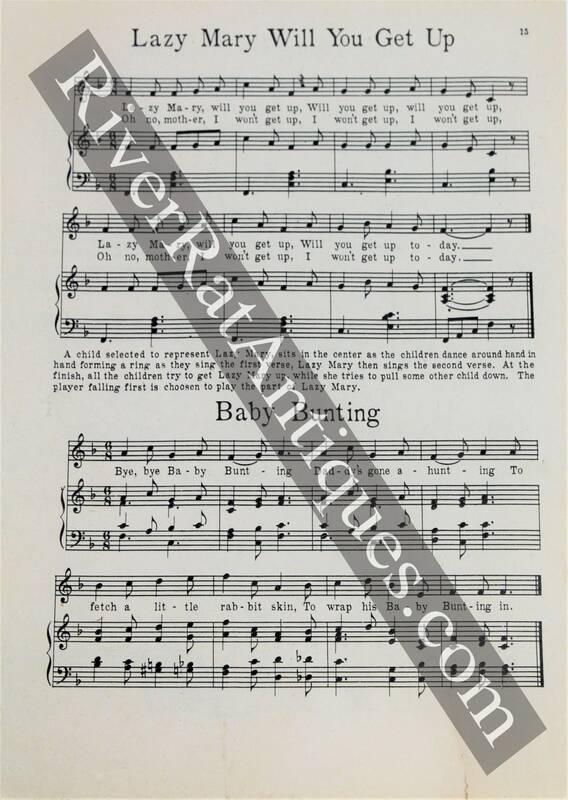 Would look delightful framed in a baby nursery.